Operating within one of the fastest growing residential and economic nodes in Sandton, REM Properties has opted to make use of our Flex responsive web technology to showcase their Fourways and surrounding areas’ listings. REM Properties chose our Fresh Theme to showcase not only their latest rental listings but also to offer assistance to both landlords and tenants find that perfect property with just a click of a button. 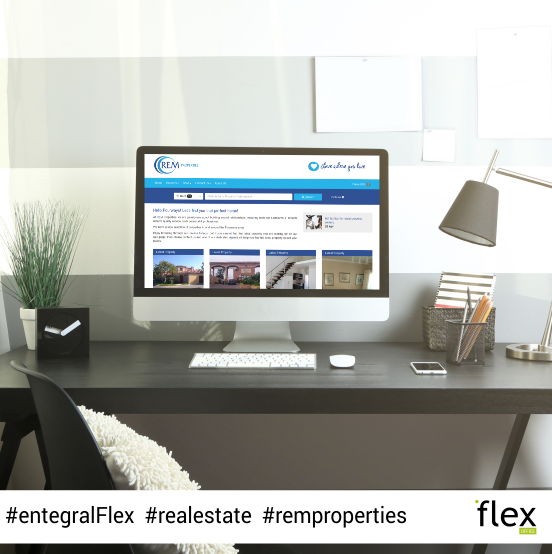 The www.remproperties.co.za responsive website also allows visitors to stay up to date with the latest property and Fourways community news easily. Priding themselves on offering quality service to both landlords and tenants means that the reliable functionality of a Flex powered website is a perfect fit for the budding agency. With this cutting edge real estate technology backing them, they can be assured of never missing out on potential new clients whether they are browsing the website on a laptop, mobile phone or a tablet - it will always display correctly! If you are ready to make the move towards a more responsive website visit www.entegral.net today to find out more about how you can have your real estate agency online in no time!